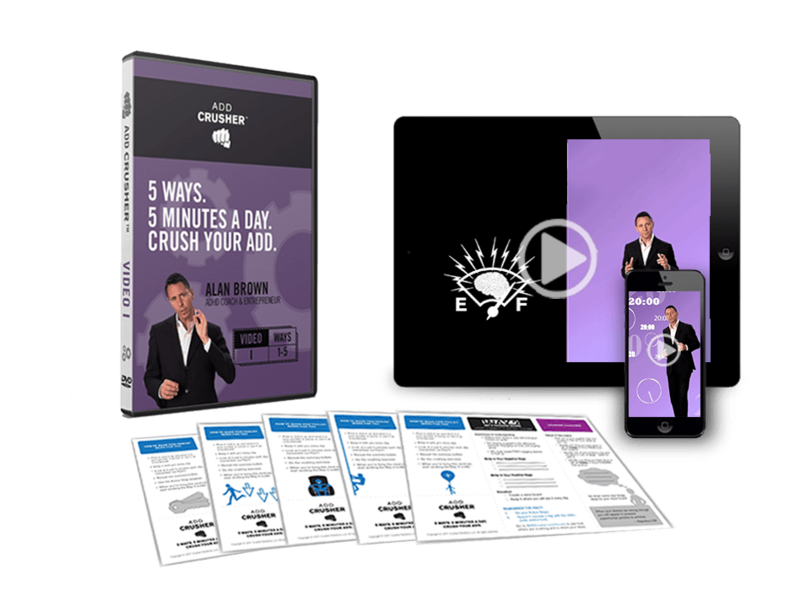 This is a potentially powerful part of any ADD-crushing plan – if it’s right for you. Crusher doesn’t choose sides in the meds-vs-no-meds debate. Every adult should use every tool at his or her disposal — whether meds, alternative treatments, natural remedies or a combination thereof – if it works and doesn’t mess with your daily lifestyle or your health. There are two main types of medication. The most widely used are stimulants like Ritalin. Non-stimulants, like Strattera, have only been around for about ten years but are increasingly popular in part because they can have fewer side effects. 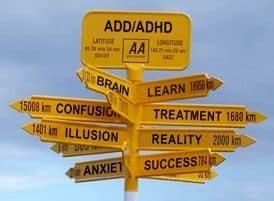 There are more expert authorities on this topic, but the two key things to know about meds are, 1) EVERY BODY is DIFFERENT – so what works for your friend or someone in an ADHD forum discussion, might not work for you. So work with your doctor to get the right medication or combination. And 2), medications are no panacea – as mentioned above, any ADD-crushing plan should draw on a range of treatment options. And as they say, “Pills don’t teach skills”. Behavioral Therapy is the observation of your thinking and resulting behaviors, and making adjustments to both. Mindfulness is key because simply being mindful is a form of cognitive therapy. Its primary focus is being aware of what’s going on in your mind. One example of mindfulness is becoming aware of and ceasing Negative self-talk. Meditation is an extension of Mindfulness, and it is a powerful way to reduce stress and improve focus. Neurofeedback and Computerized Working Memory Training are emerging treatments that are gaining some support among the experts. Coaching or Mentoring can help you learn coping strategies and help you put them into action. 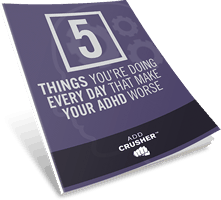 Link to Crusher’s favorite ADHD coaches. Proper Diet, Exercise and Sleep are the most fundamental natural remedies. Visit this link on ADD diet tips. Herbs, Supplements and Homeopathic Remedies are generally unproven. Make sure you research them well, and link to Natural Remedies for ADD for more detail on supplements that can help. Bottom Line: The Crusher™ program combines therapy and coping techniques and strategies, along with tips on diet and behavior modification, all with the goal of helping you retrain your brain and “crush” your ADD/ADHD. It is a natural alternative to traditional medication, and one that has helped many sufferers to improve their lives and live to their potential.